Many of us, if not all, use our cars on a daily basis. We use them for our daily commute to work, do the school run in them, we run household errands in them, go shopping in them and even take the family out on a weekend in them. And for many pet lovers, our pets are family, and so we often hit the road with our canine companion and feline friend in the car. It’s unsafe to have pets running free in the car. You need to find a way to restrain them in one area, for fear that if your car had an accident or you have to do an emergency brake, it could potentially result in an injury. What more, they could distract you whilst driving so it could increase the chances of an accident. Plus, having them secured would stop your pet escaping as soon as the door is opened. Majority of people take dogs for rides, more than they do cats. You can buy a safety harness for a dog, which you can attach itself to the seatbelt. Some people opt for a boot cage, where the dog can sit comfortably and freely in the boot. For smaller animals, such as cats or rabbits, you must invest in a pet carrier and wedge this firmly into the foot well near the backseats. 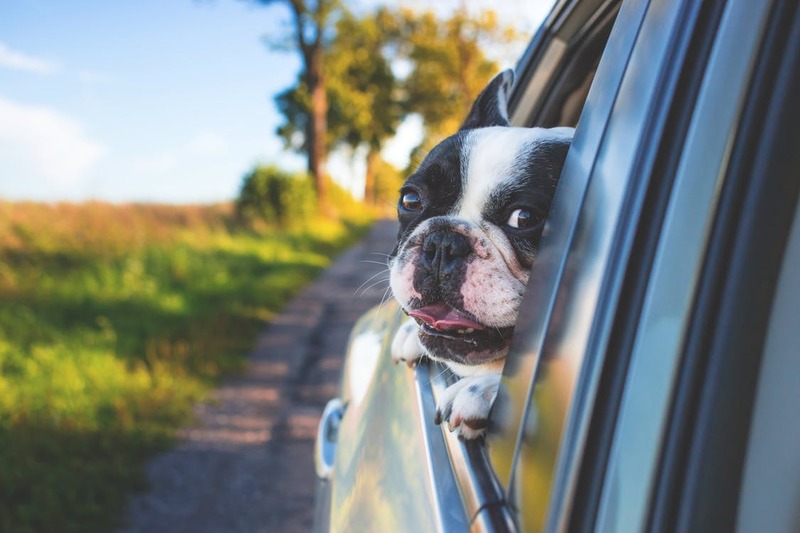 With the hotter months coming up, it’s wise not to take your pets on a journey if you know that once you reach your destination, the pet will have to be left in the vehicle. Always ensure your vehicle is in good condition to ensure road worthiness and care safety, as anyone you take along for a ride in your car, is your responsibility – therefore, always make sure you go for your car service checks on time. If you’d like to know more about when to go to your garage to check your vehicle, read our 10 reasons your car may need a service.